We can’t blame you if the consistently inconsistent British summer has you looking abroad for the chance to enjoy some late summer sun. In that respect, Spain would seem like a pretty good bet for budding travellers – but where to go? 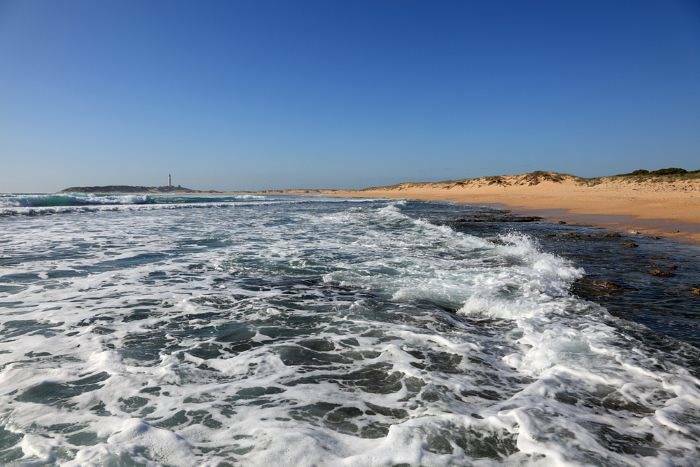 Well, with 300 days of sun each year and average temperatures that stay comfortably in the 20s well into the months of September and October, the Costa de la Luz‘s sunny disposition makes it an irresistible holidaying destination. Unlike the crowded Costa del Sol, the Costa de la Luz (the ‘coast of light’ for those with rusty Spanish) on the southern coast remains largely undetected by tourists and something of a hidden gem. Nowhere will the absence of the masses be more appreciated than on the region’s brilliant beaches. 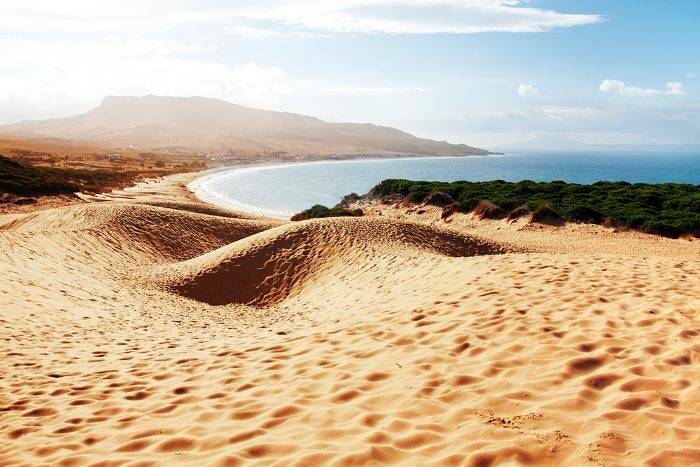 With the cool Atlantic Ocean on its doorstep, the region’s plethora of rolling, unspoilt stretches will undoubtedly make for the most attractive spot to visit when the Andalusian sun is at its hottest. Whilst you’ll never go too far without stumbling upon a beach when out and about, we recommend taking time to visit Playa Chica, the southernmost beach found on mainland Europe. Found by the entrance to the port of Tarifa, the small beach is well frequented by locals due to it being sheltered from the strong ocean winds, making it perfect for families. Elsewhere, the unspoilt coves that make up Calas de Poniente have found favour with beach-dwellers with nothing to hide (if you catch our drift) thanks to the privacy afforded to visitors by its rock outcrops. Keen windsurfers should make a beeline to the windswept El Palmar beach just five kilometres north of Vejer, the self-proclaimed surf capital of Andalusia. But never fear, those who don’t fancy partaking in the water sports can surely make do at any one of the many bars and restaurants available to those taking to its golden sands. In sharp contrast with its industrial neighbour Huelva, the charming city of Cadiz and its alluring golden domed waterfront cathedral makes for a worthy city break destination (though we recommend flying to Jerez to get there). 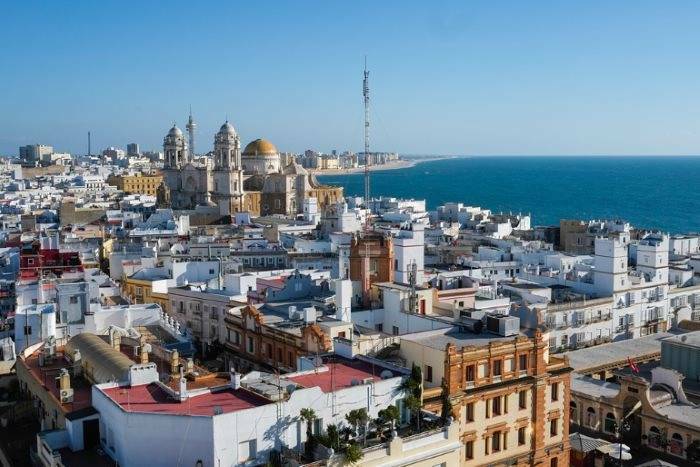 Founded in 1100BC, Cadiz is one of Spain’s oldest cities and has been coveted in its time by everyone from Taressians and Phoenicians to the Greeks, Romans and Visigoths. As a result, the laid-back coastal city’s cobbled streets are absolutely teeming with history – you’ll never be too far from one of the 100 or so watchtowers used to keep a look out for Nelson during his assault on the city in 1797. The Torre Tavira is the most predominant of these due to being the highest point in the city, so make sure to take some time out of your day to climb to the top for the best views in Cadiz. The Costa del Luz was also where Columbus set sail for his second and fourth voyages across the oceans in 1493 and 1502. As a result, you’ll find no shortage of attractions to visit in commemoration to the explorer. 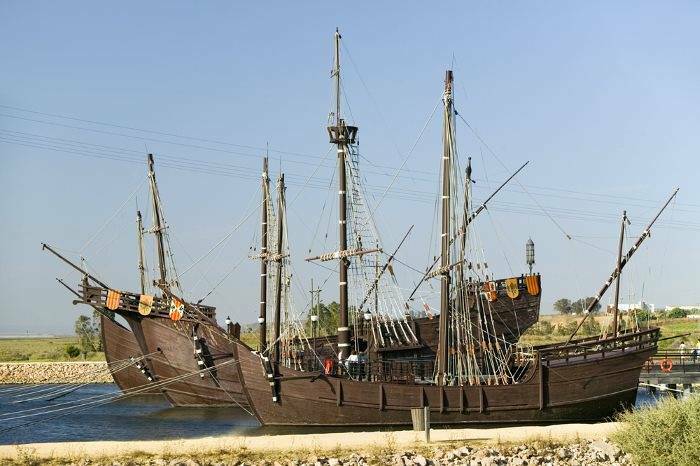 These include a plaque found in the Plaza San Juan de Dios (one of the oldest parts of Cadiz), the village of Palos de la Frontera (where Columbus embarked for America) and the Muelle de las Carabelas on the Rio Tinto estuary, where you’ll find life-size replicas of his ships and an in-depth museum on life at the time. Sun, sea and history – what more could you want from a late summer break? Got anymore recommendations for things to do when in the Costa de la Luz? Leave us a comment below!